It’s time for our tab-switching library to display the default tab. We look at our code and figure out how to incrementally expand it once again. 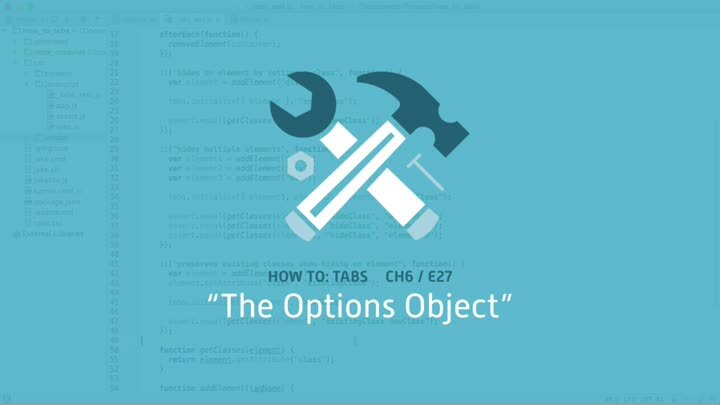 Once that’s done, we improve our initialize function by refactoring from a list of parameters to an “options” object.